Sleep apnea can often be treated with snore guards and other effective sleep apnea devices that can improve your sleep quality and help control this bothersome condition. 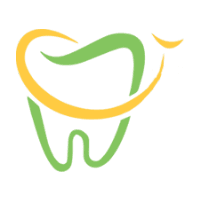 PDADental in the Financial District, Lower Manhattan, New York, offers snore guards and a range of dental solutions to improve your oral health and protect your teeth. If you’re dealing with sleep apnea or have concerns about your oral health, call PDADental or book online today. Sleep apnea is a sleep disorder that causes your breathing to repeatedly stop and start while you sleep. Obstructive Sleep Apnea: Obstructive sleep apnea involves the temporary relaxation of your throat muscles, such as your tongue and soft palate, that closes or narrows your airway and impairs your breathing. When you’re not able to get sufficient air supply, it can decrease the amount of oxygen present in your blood. Your brain wakes you from your sleep so that you can open your airway. This sleep interruption can happen 5-30 times an hour or more and you might not even remember it. Central Sleep Apnea: Central sleep apnea is when your brain doesn’t properly communicate with the muscles that control your breathing. Complex Sleep Apnea Syndrome: When you have both obstructive sleep apnea and central sleep apnea, it’s referred to as complex sleep apnea syndrome. Sleep apnea is more common in men. PDADental provides snore guards as an effective solution for sleep apnea. Several types of oral sleep appliances are available, most fitting like an orthodontic retainer or a sports mouth guard. Snore guards work by supporting your jaw in a forward position and helping to maintain an open upper airway. Oral appliance therapy is proven effective for treating snoring and obstructive sleep apnea and must be overseen by a dental professional. The right custom-fit oral sleep appliance can protect your teeth and improve your sleep and overall health. Your PDA dentist can help you determine the best oral appliance for you. 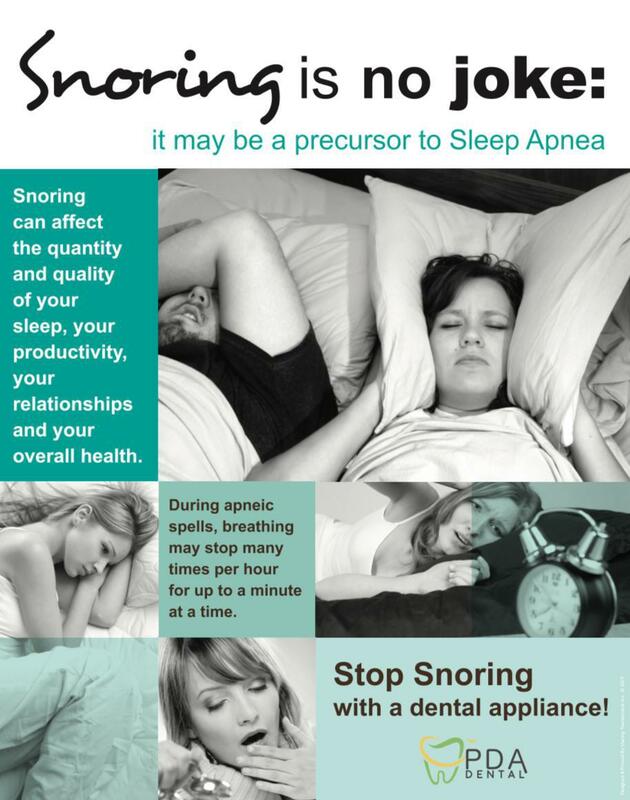 Dentists work closely with physicians to treat sleep apnea and snoring. During your visit you receive a complete clinical evaluation that includes a thorough examination of your jaw, tongue, teeth, and airway. X-rays might also be taken. Oral appliances can be customized using physical or digital models and impressions of your teeth. The models are usually sent to a dental lab where your appliance is made. You return to the dental office for a fitting, and you’ll need follow-up visits to assess how well your snore guard is working. If you’re dealing with sleep apnea, call PDADental or schedule online today.